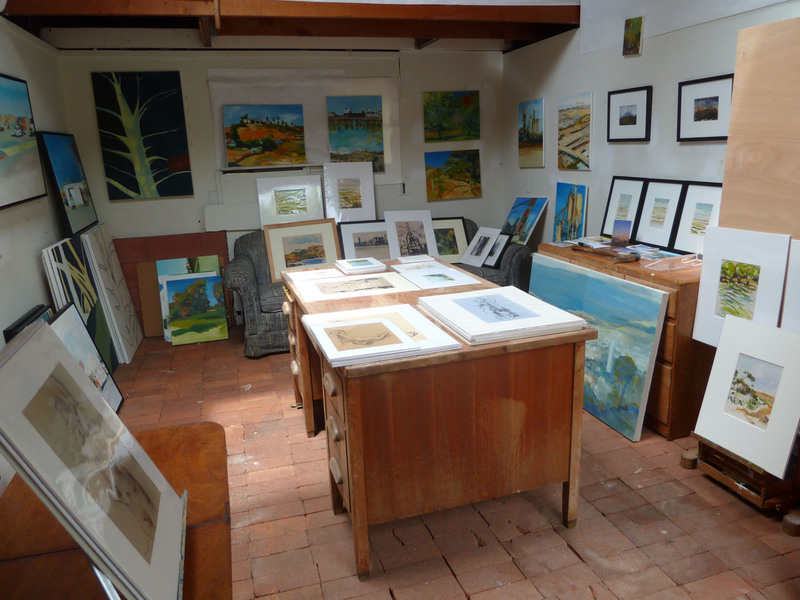 Our little studio was Open during the last two weekends for the Pro Arts East Bay Open Studio event. The first weekend was rained on and so the last weekend was much more fun, with neighbors and patrons stopping by to chat and browse and pause. I joined forces with my husband and architect Matthew Higgins this time and somehow we managed to get our work into this small space. This entry was posted in Art Journal and tagged EBOS 2011, Fran Osborne, landscape. Bookmark the permalink.